Our camps are run just like they should be – kids enjoying activity-filled days while parents relax knowing their children are being supervised by quality leaders leading quality programs! Participants will enjoy traditional day camp activities such as sport activities, games, weekly pool days, and field trips. Snacks are now provided through Public Health at camps at the Douglass Community Center, Leonhard Recreation Center, and Springer Cultural Center! 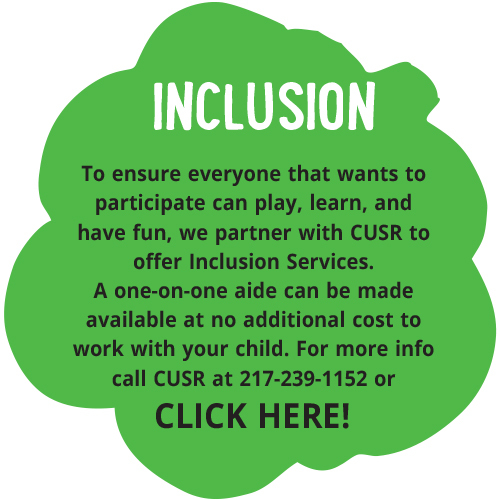 CUSR Summer Day Camp is designed for participants ages 5-22 years who have a disability and/or receive special education services. Special Recreation registration forms are available at CUSpecialRecreation.com, or at the following facilities: Hays Recreation Center, Douglass Community Center, Leonhard Recreation Center, and Springer Cultural Center. Put your creative minds and hands to work, and join the fun. 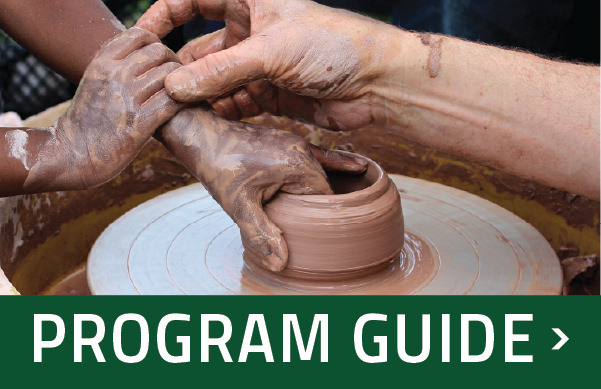 Along with traditional day camp activities, swimming, and field trips, this exciting camp offers children an introduction to the arts throughout the summer with workshops in visual arts, crafts, dance, and performing arts by specialized art and pottery instructors. Each camper should bring a sack lunch and drink daily. Swimming will be at the Sholem Aquatic Center and Urbana Aquatic Center. Don’t forget a swimsuit and towel on pool days. Questions: Melanie.Kahler@champaignparks.com or Sean.Hurst@champaignparks.com at 217-398-2376 for more information. Explore the endless possibilities of fun at the Douglass Community Center. Each week our daily activities will be led according to the themes shown in the box below and will include games, crafts, swimming, field trips, and more! The fee includes a camp t-shirt and admission for field trips. Each camper should bring a water bottle, swim suit, and towel daily. Breakfast and lunch are provided. Campers need to bring their own snack. This traditional style summer day camp keeps kids physically and mentally active. Children will make new friends, experience new things, and have an unforgettable summer of fun. Activities will be based around weekly themes while building self-esteem, developing interpersonal skills, and making lasting friendships and memories. Each camper should bring a nut-free sack lunch, drink, swimsuit, and towel daily. Leonhard staff and kids strive to be kind, honest, and helpful. Campers Explore is a STEAM focused camp program. During Campers Explore, you don’t just learn science, technology, engineering, arts, and mathematics. You make it. You create it. You build it. Campers will spend part of the day focused on the weekly topic and the rest of the day participating in recreational activities. Campers need to bring a snack daily. Breakfast and lunch are provided, however, sack lunch will be needed on days when campers travel. Join Leonhard teens in learning firsthand what it is like to be a day camp leader, serve in your community, take weekly field trips, and make friendships that will last a lifetime. Campers will need to bring a sack lunch, drink, swimsuit, and towel daily. Parents: The participant packets must be completed and submitted by the first day at drop off before a child can attend. Packets are both online and at the facilities for pickup. Inclusion: Champaign Park District supports inclusion at all camps and programs through Champaign-Urbana Special Recreation. Upon an initial assessment, services that are deemed appropriate based on each individual will be provided. If needed, a one-on-one aide will work with your child. When registering, please fill in ADA information on registration form. Call CUSR at 217-239-1152 for more information. Although we strive to make any Champaign Park District camp affordable, we understand that it may be difficult to pay all costs up front. Because of this, we require at least a $10 non-refundable deposit per child, per session to hold a spot. The balance will be due ten (10) days (Friday by 5p) before the session begins. See payment schedule online at champaignparks.com or in the 2019 Day Camp Parent Handbook. Participants will be dropped at this time and space offered to waiting list participants. Registration during the two weeks prior to a camp session will require full payment at registration. Click to download the 2019 Day Camp Fee Schedule! Day Camp Cancellation/Refund Policy: Refunds of fees paid minus the required deposit (per child/per session) will only be given through seven (7) days before the start of the session unless otherwise noted.